This is one of the most unique custom murals I've done. Its in the customer's bedroom. 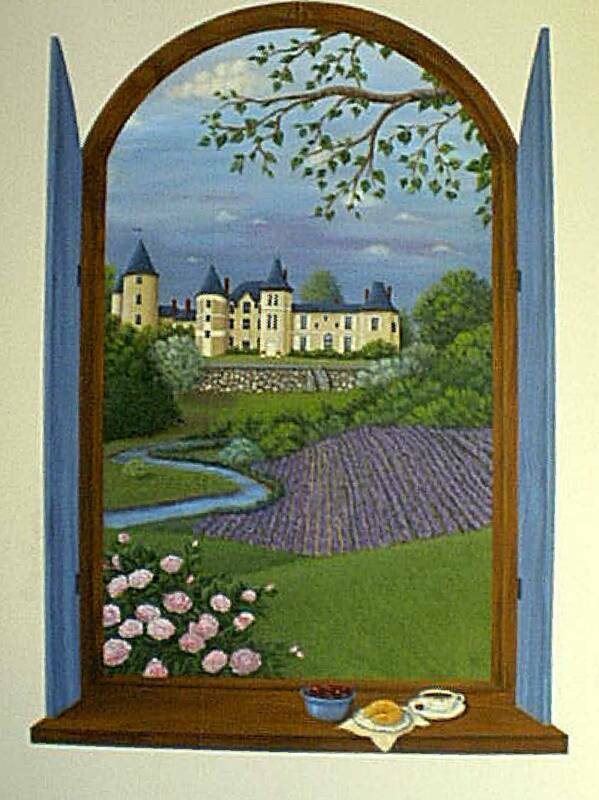 The Castle is a representation of one the customer stayed at in France on a vacation. There are lavender fields and lots of roses there. 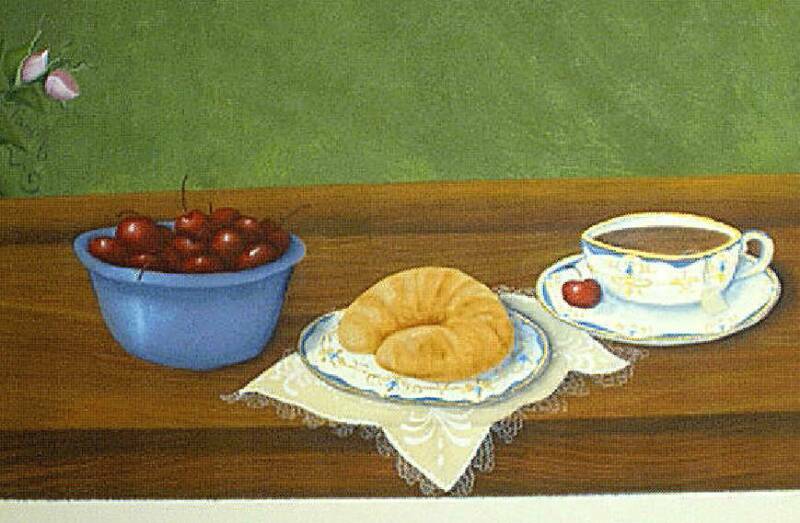 They had cherries, croissants & tea for breakfast each day. 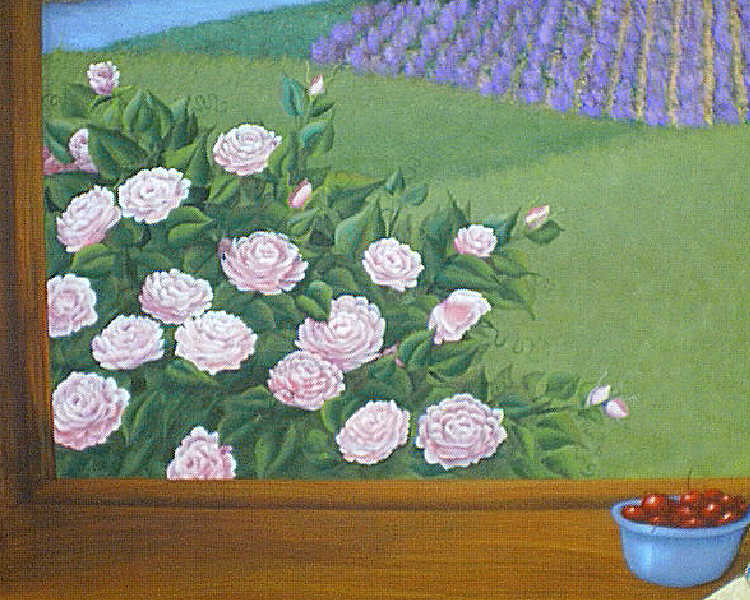 The roses match ones used in their wedding that her mother grows. The napkin is one her Great Aunt made by hand. 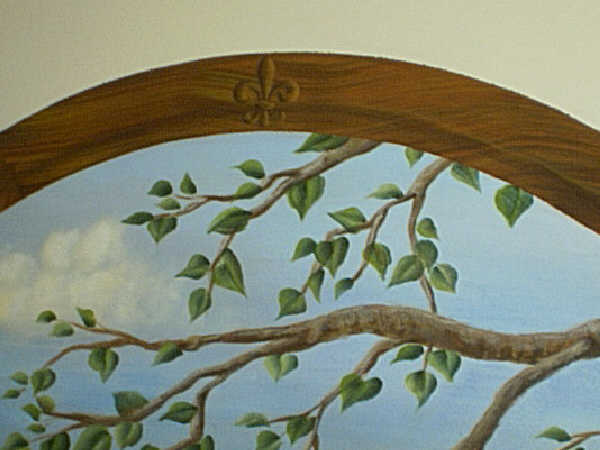 I added a flue-de-leaf pattern "carved" into the top of the wooden trim since they have this theme throughout the house. The blue tones match their carpet and the lavenders & cream colors match accessories in the room. She has yet to decide what to do with the rest of the walls and will work around the mural. 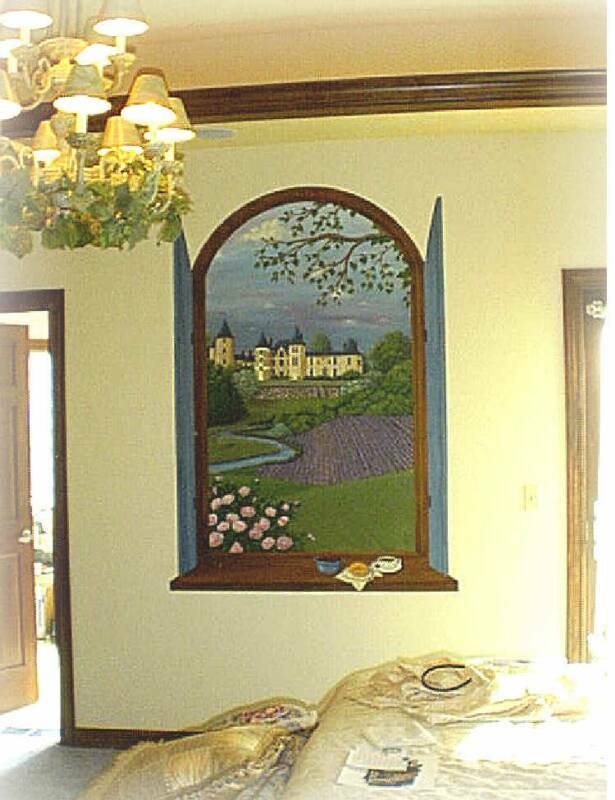 I plan to go back and add shadows onto the wall when it is done. It was a pleasure to make this so special and unique for this lovely lady.